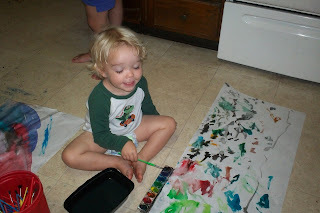 My kiddos LOVE to paint! 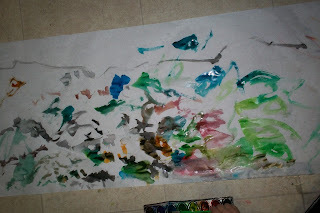 While we were in PA staying with my best friend & his family...they broke out the paints & paper! Eli was in heaven!!!!!! The little man did an amazing job....and I loved seeing how neat he was (while the big kids got paint all over the floor). I think I have another artist on my hands!! !